The Meizu m1 note is also a dual-SIM smartphone capable of connecting to 3G and LTE networks, while the second SIM works via GSM networks only. 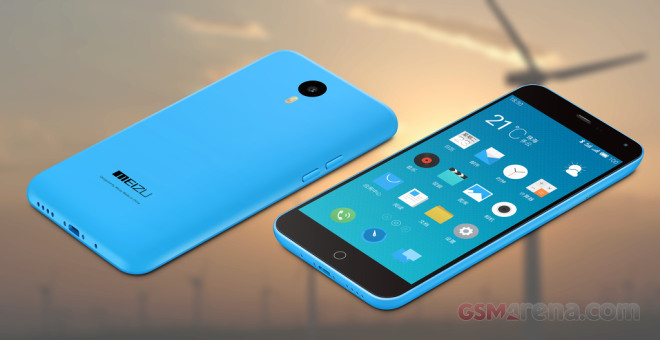 The phone supports dual-SIM standby and uses microSIM cards. We approached this our battery test with high hopes due to the relatively high battery capacity of 3,140 mAh. We kicked things off with the 3G talk time checkup. The m1 note lasted just few minutes short of 15 hours, which is great. The default MX web browser isn’t acing any benchmarks, but it turned out amazingly frugal on battery power and kept on running our dedicated web browsing script for more than 13 hours. This is among the best results to date. The looped video playback turned out great as well – the smartphone packed enough juice to last about 11 hours and 10 minutes before its battery dropped down to 10%. This is enough for 7 full-length movies and way above average. 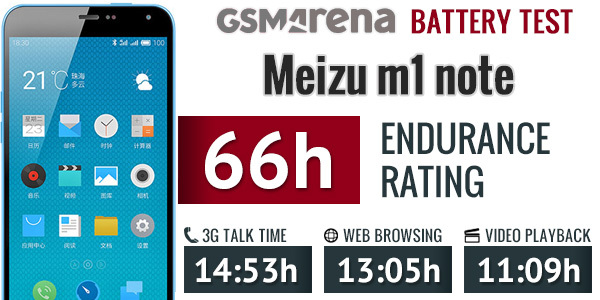 Finally, we measured the standby battery endurance and the Meizu m1 note turned out an average performer with the two SIM cards inside – the phablet lasted a full week plus a few more hours of the eight day. This doesn’t sound impressive at all, but it is an OK performance for a dual-SIM phone with both SIM cards on. In our test, the Meizu m1 note managed to score an average rating of 66 hours of battery life. It posted very solid numbers in all of our tests, while the stand-by performance is only average because of the dual-SIM functionality. This means the Meizu m1 note will last two and a half days and then some, if you do an hour each of calling, web browsing and video playback daily. The m1 note offers three battery modes – power-saving (four CPU cores only), balanced (six CPU cores) and performance (access to all eight CPU cores). We tested it at Performance and Balanced modes, which provided similar results, but you may be able to squeeze even more from the battery, when the m1 note is set on Power-Saving mode which puts a limit on the processor and some of the connectivity features. Our in-depth review is already live on our homepage and you are welcome to check it out.